You decide to begin a new diet. Once you begin you have to either weigh the food you‘re going to eat or count calories or portions somehow. You dig out paper and pencil a food scale calculator and any other gadgets that go with your new diet plan and start tracking. Then comes the fun part - at first. You get to shop for new ingredients for your diet recipes. However this "fun" quickly turns into "frustration" trying to locate hard-to-find herbs and other specialty items. You saved money by not purchasing unhealthy foods. Yet you ended up spending on diet gadgets weight loss meetings and weigh-ins and high-priced ingredients and foods. After about a week of this combined with running the kids to their activities the pet to the vet your in-laws to the doctors your spouse to yet another weight loss meeting and various other sundry tasks you toss your hands in the air tracking system in the trash and reach for a snack. A good snack too since you deserve it for trying that whole mess and getting nowhere. Well look no more. The weight stops here. If you‘re looking for the latest helpful information about how to shed some extra pounds you‘ve come to the right place. If you‘re tired of weighing foods counting calories finding ingredients for diet recipes yet still want to lose weight tread ahead. If you don‘t‘ want to spend extra $$ for the right foods on your diet plan you‘ve hit the pay scale right here. If you‘re looking for quick weight loss solutions for a quick-paced lifestyle you‘ve tipped the scale in your favor right here with us! Now with no experience necessary no gadgets no calorie counting no extra shopping for hard-to-find ingredients no extra spending on dietary "stuff " you can join the ranks of healthy happy successful weight loss winners. A third of overweight Americans who are trying to lose weight are doing so by eating less carbs. There are two types of carbs. Curbing only one of these is the goal. Then instantly download our latest research jam-packed into an easy-to-read format full of successful solutions that have been tried and tested. Select only those choices that fit into your own hectic lifestyle. What‘s in it for me? Check out Suzanne Somers‘ "Funky Foods" list & her "Seven Easy Steps to Somersizing"
Discover the "The Eleven Emotional Levels of Eating"
Americans are overweight 38 percent are actually doing something about it. like Atkins Diet and the South Beach Diet. being part of this fast-paced world? People want and need simpler solutions. And they need simpler dieting plans. plans. Let‘s see how many of the major players‘ plans measure up. 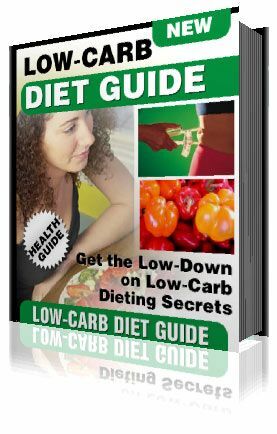 The Low-Carb Diet Guide is delivered in PDF format and is viewable on any computer. All you need is "Adobe Reader" or "Acrobat eBook Reader" which is available free and already on most computers. If you do not have it installed on your computer Please Click here to get the software. They are both Free.